What does Robson mean, details, origin, short & easy attributes? Robson pronunciation in 20 different native languages. The name Robson comes from the personal name Robert. This name is composed of the old English elements hroth, which means fame, and berht, which means bright. Robson is baby boy name mainly popular in Christian religion and its main origin is . Robson name meanings is Fame, bright. Other similar sounding names can be Robert. You probably have google this question: My baby name is Robson and how can I combine the name Robson with other names and create unique & new name? We tried to suggest Robson name combinations. You can see how it looks the name Robson as first name or Robson as last name. You can combine the middle name for Robson and create a unique name. Popular personalities with Robson Name. 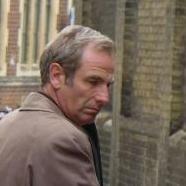 Robson Green is an actor, singer, songwriter, and television presenter. His ongoing career started in 1989. Robson was born on December 18th, 1964 in Hexham, Northumberland, England. 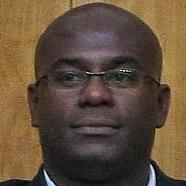 Robson was born on March 23rd, 1978 in Teresopolis. Robson was born on October 25th, 1988 in Salvador, Bahia, Brazil. Robson da Silva is an athlete. Robson was born on September 4th, 1964 in Rio de Janeiro. Robson Ponte is a soccer player for the Clube Atletico Juventus, America Futebol Clube (SP), Guarani FC, Bayer 04 Leverkusen, VfL Wolfsburg, Urawa Red Diamonds, and Gremio Barueri Futebol. Robson was born on November 6th, 1976 in Sao Paulo. Robson Luis Pereira da Silva is a soccer player for the Sociedade Esportiva Matsubara, Sorriso Esporte Clube, Mogi Mirim Esporte Clube, Esporte Clube Paraguacuense, Goias Esporte Clube, Sport Club Corinthians Paulista, U.D. Leiria, Ferroviario Atletico Clube (CE), FC Spartak Moscow, Consadole Sapporo, and FC Lorie. Robson was born on September 21st, 1974 in Volta Redonda. 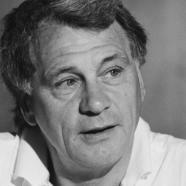 Sir Bobby Robson was a soccer manager for the Fulham F.C., West Bromwich Albion F.C., Vancouver Royals, and England national football team. Bobby was born on February 18th, 1933 in Sacriston, County Durham, England. He breathed his last breath on July 31st, 2009. 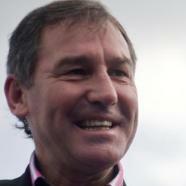 Bryan Robson is a soccer player for the Manchester United F.C., West Bromwich Albion F.C., Middlesbrough F.C., England national under-21 football team, England national football B team, and England national football team. Bryan was born on January 11th, 1957 in Chester-le-Street, County Durham, England. Laura was born on January 21st, 1994 in Melbourne, Victoria, Australia. Linda Robson is an actress, presenter, and actor. She has been prominent since 1970. Linda was given the name Linda Patricia Mary Robson on March 13th, 1958 in Islington, North London, England. Wade Robson is a dance, choreography, film director, film producer, songwriter, dancer, choreographer, producer, and songwriter. 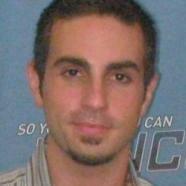 Wade was given the name Wade Jeremy William Robson on September 17th, 1982 in Brisbane. She was most active from 1931 to 1981. 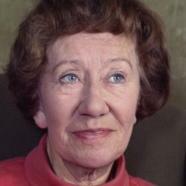 Dame was given the name Flora McKenzie Robson on March 28th, 1902 in South Shields, County Durham, England, United Kingdom. She breathed her last breath on July 7th, 1984.